Short post – 6.5 treadmill miles this morning – 18 days away from Baltimore. I’m thinking I will run another 6.5 tomorrow and then around 13 on Saturday. I really want to focus on my pace on Saturday and try to get a fast run in. Thought I would share a few pictures that make me smile! 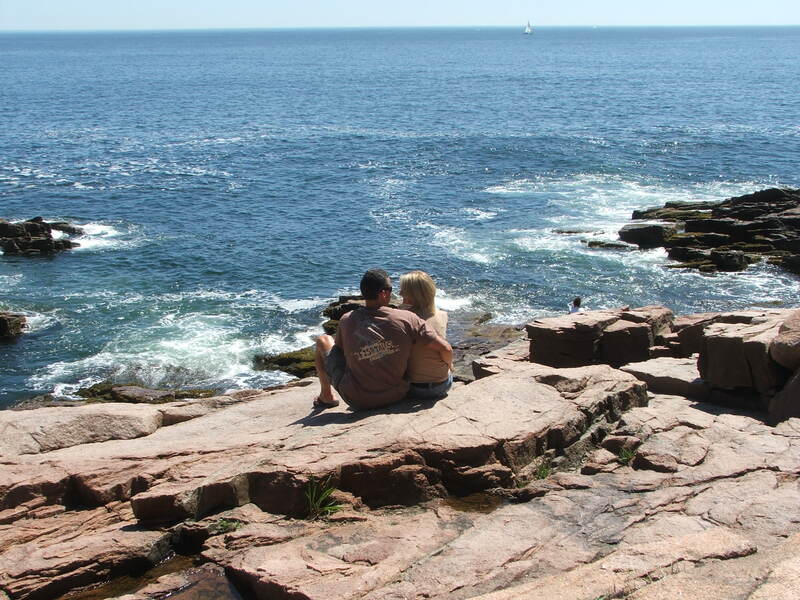 These are from our August trip to Acadia National Park in Maine. Jeff’s Post – My Treadmill – My Friend! I’ve read many posts and articles where people talk about their hate for the treadmill. I may be in the minority but I absolutely love my treadmill. My number one preference would be to run outside but during the week that is difficult for me and the treadmill is my friend. 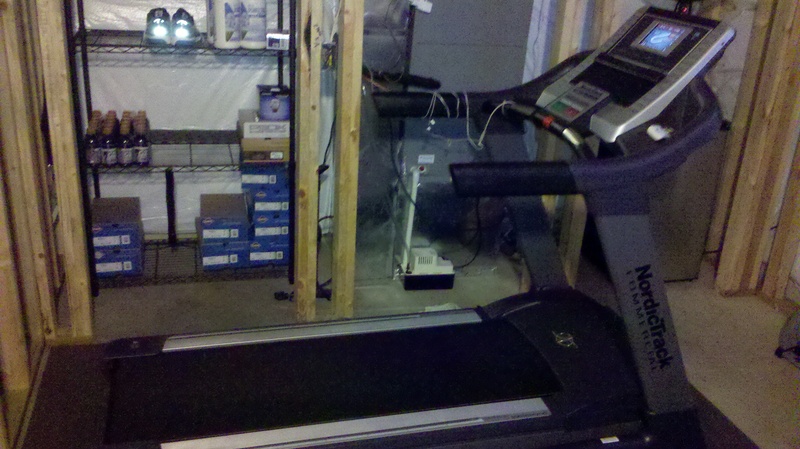 I’m fortunate that I have a treadmill in my basement (unfinished – hope to have it finished soon!) which makes it much easier for me. My Treadmill - I have spent many many hours on this! Why I like the treadmill. It saves my legs (I’m not sure I could put in all the mileage I do on pavement). I don’t have to worry about running in the dark (most of my runs are in the 5:00am timeframe). I don’t have to worry about the weather – I‘ve never had to cancel a treadmill run due to the weather. I can also run at a consistent temperature (this can be both a positive and negative)I can control my speed – I can control the incline – no surprises! 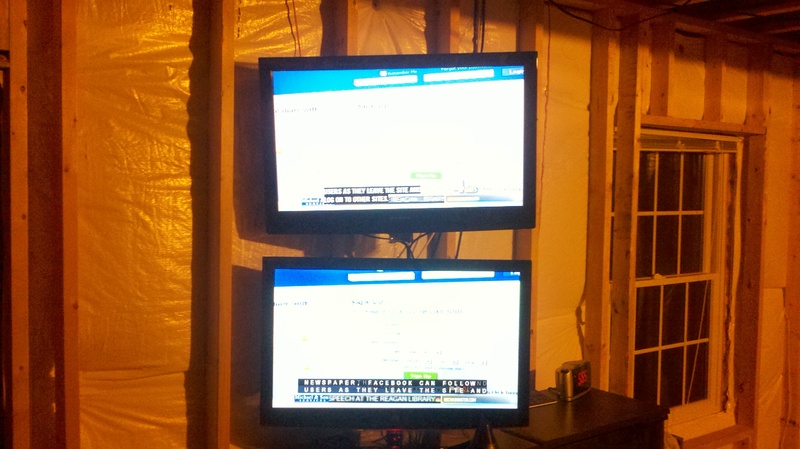 I can watch TV while I run (most of the time I’m watching a concert I have on the DVR and watch the news on closed caption). These are just a few reasons why I love the treadmill. 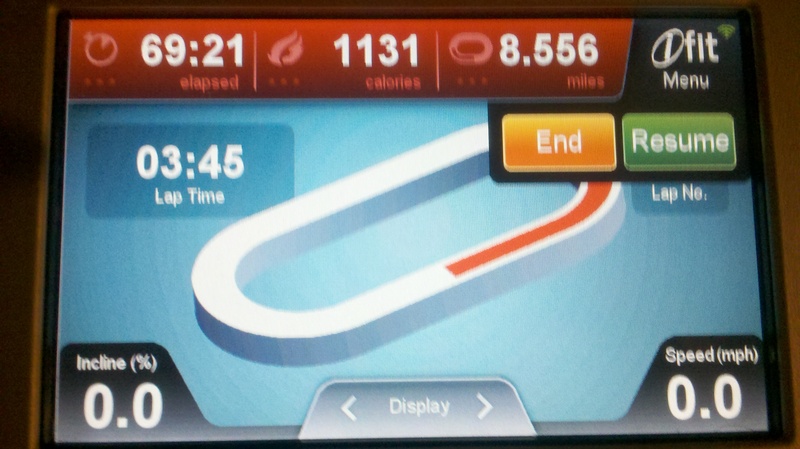 My treadmill has trained me for my upcoming marathon and I’m thankful for that. I have a huge amount of respect for those of you who brave the elements everyday to get your run in! 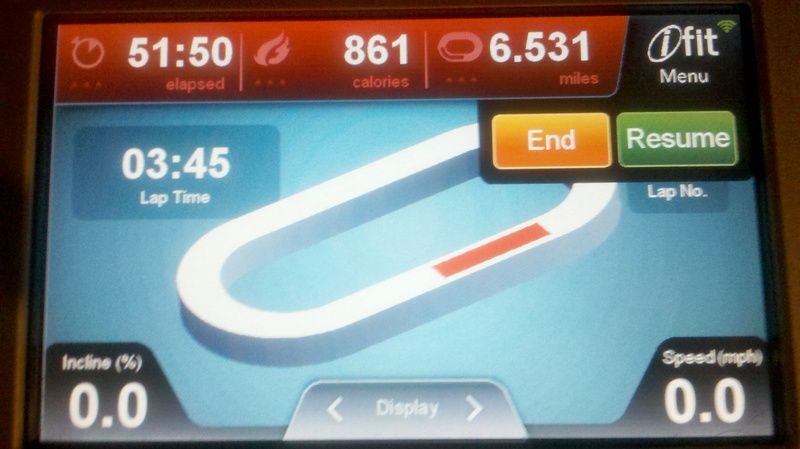 6.5 Treadmill miles this morning – Have a great day and if you see a treadmill – jump on it – it isn’t all that bad! Jeff’s Post – Taper and Lift! I’m into my taper stage for the marathon and I will be honest I’m not really sure I like this whole taper thing. I do plan on reducing my mileage over the next few weeks but I’m not sure how much yet. My right foot has been hurting a little so I guess my sore foot will be my excuse to reduce my mileage. I really do want to be smart in what I’m doing – I’ve worked way too hard month after month to do something stupid now and I will keep telling myself not to push it. That being said, I figured it wouldn’t hurt to abuse my arms a bit. I had one killer arm/back workout after my run this morning. You always know you’ve had a good workout when you feel like you are going to throw up when you are done. So – Legs/Foot I hear you and I will take it easy on you for a few weeks but while my legs are resting my arms better lookout. 6.5 treadmill miles this morning – Have a great day and go for a run if you get a chance! Jeff’s Post – 22 Mile Cul De Sac Open! 21 Days until I marathon. I don’t like to wish time away but I’m ready for the day to get here. I’m excited and aside from a right foot that is a little sore I feel good. I’ve had three really good long runs 18, 21, and 22 miles. I plan to taper my long runs so the next time I run 20 miles or more will be on October 15th. I’m thinking I will keep my mileage at around 50 per week for the next few and back off some the week before my race. Yesterday for the first time I ran with a group of 7 runners from the local running club. After running so long by myself it was nice to get a run in with a group. I called my long run “The Cul De Sac Open” because we literally ran around 14 miles in and out of Cul De Sacs. It was definitely a different run for me, it was slower, and I ran without music for the first 14 miles. I really enjoyed it and the time flew by. Towards the end of the run we headed out to the highway to get some additional miles in. I wanted to pick up my pace so I put my headphones and sunglasses on, took off my shirt and pushed it for the last 8 miles. It felt really good and I was happy to have another good run in the books. I really plan on pay attention to everything the next few weeks. I will be closely watching my mileage and will also be watching everything I eat. I would like to drop about 5 pounds before race day. I want to be as lean as I can be. Very excited for the next 21 days. Thank you for sharing in my journey – I’m excited to share it! It’s not enough for me, or should I say – it’s not enough for my BRAIN! Yeah, physically I feel worse when I am not running as much and think I look worse too – seems like I lose my runner’s shape quickly and just turn into a skinny woman with a 12 year old body. My mind suffers greater damage though – I’m not as motivated and tend to get in a “funk”y mood. My mileage has dropped and I hate it. So what happened? I’m full of excuses I know – and seem to hop from one injury to the next – this time it’s my knee…hasn’t been right since the 1/2 marathon. It is cracking and grinding when I run too much – so I’m running 3 miles every other day. That seems to help – most of the time. I’m sticking to my treadmill also – I love the flex deck and it seems to lessen the impact. I’m not really training for anything right now, so that helps – but I want to start upping my mileage again and throw in some speedwork – c’mon knee my brain needs it!!!! P.S. Figured I better go back to putting my name in the post title – if not someone could think Jeff is the one with all the issues – nope, it’s me! 🙂 Chronic injury-prone, complainer – me…see that little short 3 mile treadmill run did nothing to help my attitude either! UGH! Jeff’s Post – Feels Good in the Hot Spotlight! After yesterdays struggle I was anxious to get back on the treadmill this morning. I still felt a bit off for the first couple miles but after mile 3 I was back on track and was able to get 8.5 miles in. Typically, I always feel stronger at the end of my treadmill runs. That could mean I’m running too easy but I’m not going to change anything up at this point. I’m 3 ½ weeks away from my marathon and I want to stay consistent with what I have been doing. That means around 55 miles a week for the next few weeks then I will taper a bit the week before. The GAC Kenny Chesney concert is still in rotation on my DVR and there is a line in one of his songs “If you work hard to get where you are it feels good in the hot spotlight”. 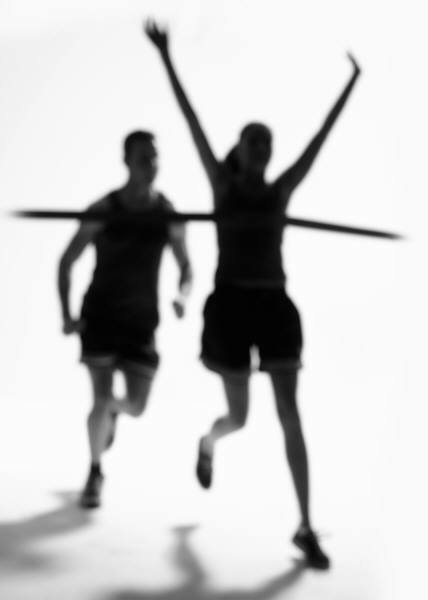 I think of that often as I run – I’m not looking to be in the “Hot Spotlight” but every runner that crosses the finish line at a race is in the “ Hot Spotlight” and they are there because they have worked hard to get where they are! Keep working hard – The “Hot Spotlight” is waiting for you. Jeff’s Daily Post – Tuesday Tread! Amazing what a difference a few days make. Saturday I ran a strong 21 miles and this morning it was all I could do to run 6.5. I took Sunday off after my long run and ran 8.5 on Monday (which felt pretty good). Maybe I’m still tired from my run on Saturday – who knows. In my perfect world I want to think that I will feel super strong on every single run but I know that isn’t realistic. I think that is what adds nervousness/excitement to every race I’m in. You just don’t know until you start running how your body will react. What I do know is that I train, I run and I stay focused building a strong foundation to draw upon during those not so strong moments. 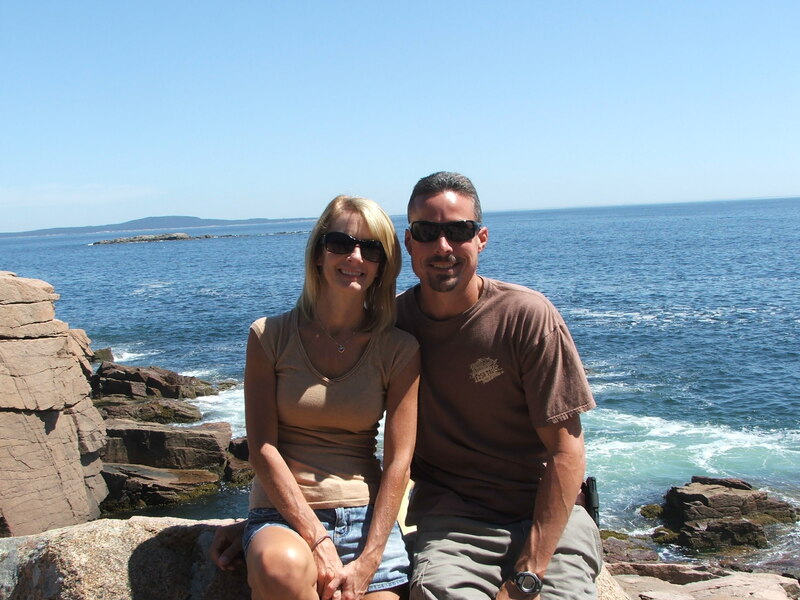 Jeff’s Post –Facebook Motivates Me! I’m not sure when or how it started but a while back I started posting my runs on Facebook. After doing it a while it has just become a habit. When I’m running on the treadmill (which I do most of the time) I will take a picture of the treadmill screen and post that. 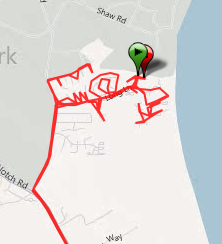 If I’m running outside I like to use MapMyRun and occasionally I will just take a picture of my Garmin. I thought when I started the blog I would stop posting my daily workouts on Facebook but I haven’t and don’t really want to stop. I do try to limit it to my runs – no need to bore anyone with how many push-ups or dumbbell curls I have done that day. I honestly only post the runs to motivate me. It keeps me honest, makes me accountable and pushes me when I need it. What I have noticed more and more lately is that when I see people out the first thing they ask me about is my running. I’m always getting – “How was your run today?” – “Did you run here instead of drive?” – or the occasional “You are crazy”. I have also received private messages from people telling me that I motivate them (love that!) It wasn’t the intention but I love that people are recognizing my commitment to stay fit and they see me pushing my limits. Most don’t realize that they are getting a first hand look at what it takes to run marathon. Bottom line – I do this for me but find it very rewarding and motivating to find that others are paying attention! Have a great day and go for a run if you get a chance. I had a good run today 8.5 miles – Soundtrack – Kenny Chesney concert on GAC TV. I plan on a shorter run tomorrow and then a 20 miler on Saturday. One last nugget – I normally don’t quote Oprah (I leave that to Tamara!) 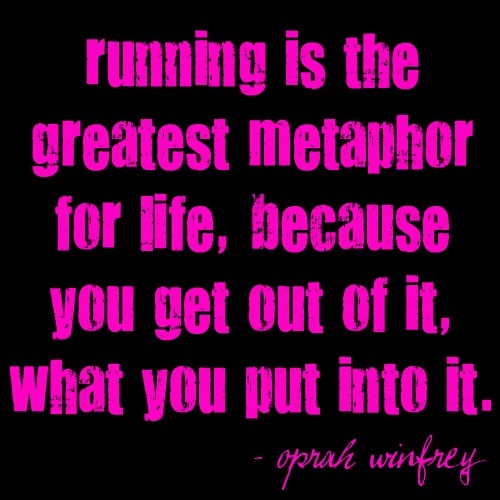 but I love to look for running quotes and came across this the other day – I Agree!